It started out innocently enough. One sunny day in 2008 (at least I think it was 2008; I’m terrible with dates) a customer came into my shop holding a huge box of books. “Do you want these? It’s mostly science fiction and fantasy stuff which I don’t read”. “Sure,” I replied taking the box. “You can keep what you want and I’ll come back later and get rid of the rest,” she said before rushing out the door again. The rest of my afternoon was spent unearthing treasure after treasure. Asimov, May, Feist, Donaldson. 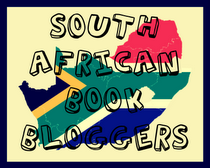 Authors I either loved or had been meaning to try for ages and they were mine for the taking. Needless to say I ended up keeping ALL the books. Up until this point I never really had a book collection of my own. I’ve always been a ferocious reader, but my reading relied on what was available from the small public library. Suddenly I had books, lots of books and they were mine to keep! I felt like the richest man in the world. Those thirty odd books filled a void I hadn’t known existed. After stalking me my entire life, the bibliophile bug had finally caught up with me in the worst possible way. At last count I had more than 500 books in my collection. The tragic part is that the vast majority of them remain unread. I no longer have a TBR-pile, my entire bookshelf plays host to my TBR-mountain and that scares me. I fully intended to read every book I bought, but try as I might, I can’t keep up. I’m being overwhelmed by all the books. 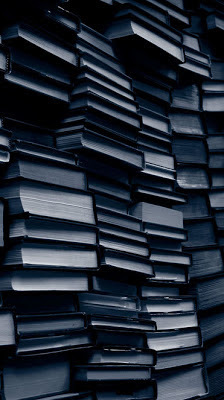 They even haunt my dreams – their pale pages weeping droplets of ink; crying out to be read. It is with the utmost dread that I have to confess that I have too many books. The lure of all the shiny new releases has led me astray. I need to spend time getting my TBR-list back to manageable levels and that means focusing on the books I have neglected for far too long. Putting myself on a book buying ban simply won’t work, so to start off I’m embarking on a TBR Decimation challenge. The rules are simple: for every 10 books on my TBR-list I read I get to buy 1 new book. This way I still get to read new releases, but I also have an incentive to read the books I already own. 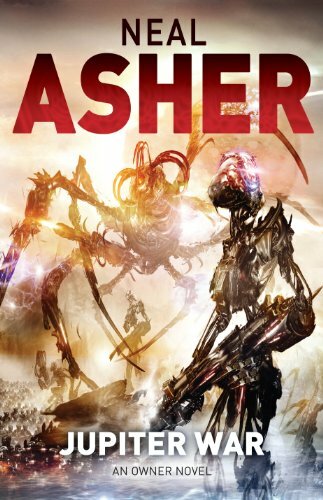 The cover for Jupiter War, the next installment in Neal Asher's Owner Trilogy has surfaced. As usual the cover art is gorgeous; Jon Sullivan has outdone himself again. The stunning conclusion to this high-octane space opera - war is coming to the depths of space. Alan Saul is now part-human and part-machine, and our solar system isn't big enough to hold him. He craves the stars, but can't leave yet. His sister Var is trapped on Mars, on the wrong side of a rebellion, and Saul's human side won't let her die. He must leave Argus Station to stage a dangerous rescue -- but mutiny is brewing onboard, as Saul's robots make his crew feel increasingly redundant. Serene Galahad will do anything to prevent Saul's escape. Earth’s ruthless dictator hides her crimes from a cowed populace as she readies new warships for pursuit. She aims to crush her enemy in a terrifying display of interstellar violence. Meanwhile, The Scourge limps back to earth, its crew slaughtered, its mission to annihilate Saul a disaster. There are survivors, but while one seeks Galahad's death, Clay Ruger will negotiate for his life. Events build to a climax as Ruger holds humanity’s greatest prize -- seeds to rebuild a dying Earth. This stolen gene-bank data will come at a price, but what will Galahad pay for humanity’s future? The trailer for Earth Afire by Orson Scott Card and Aaron Johnston has just made its way to YouTube. I loved the first installment, Earth Unaware, and can't wait to get my hands on this one. This was just too good not to share. Astronaut Chris Hadfield sings a modified version of David Bowie's Space Oddity while preparing to return from the International Space Station. It's pure awesomeness on so many levels and the visuals are just out of this world (literally!). Back in 2011 I started a Wheel of Time challenge. The original plan was to read all thirteen of the books in order to be ready for the release of A Memory of Light, the last book in the series. I managed to get to the 7th book, A Crown of Swords, before my interest just fizzled out and I kept getting distracted by shiny new releases. This year I'm trying again; whatever happens I'm going to push myself to finally finish the series. Most of the WoT books are lengthy tomes which take quite a while to get through. Unfortunately that means that I might not be able to get to books I want to review as quickly as I'd like. My TBR-pile is really getting out of hand and I'm starting to feel overwhelmed by all the books I want to read. There just aren't enough hours in the day. I'm a reasonably fast reader, but even so it will take me around four years to read the books I already own. I think the realisation that you'll never be able to read all the books is the hardest thing any avid reader must eventually face. Let me know if you have read read the Wheel of Time series. Was it as daunting an undertaking as it is for me?